If you've read my latest post, I was talking about how I prepare for the long weekend of May 1st which I plan to spend in Holland watching, photographing, enjoying the tulip fields. It's the third year I'm doing this, so I'm what you can call a veteran of this activity. 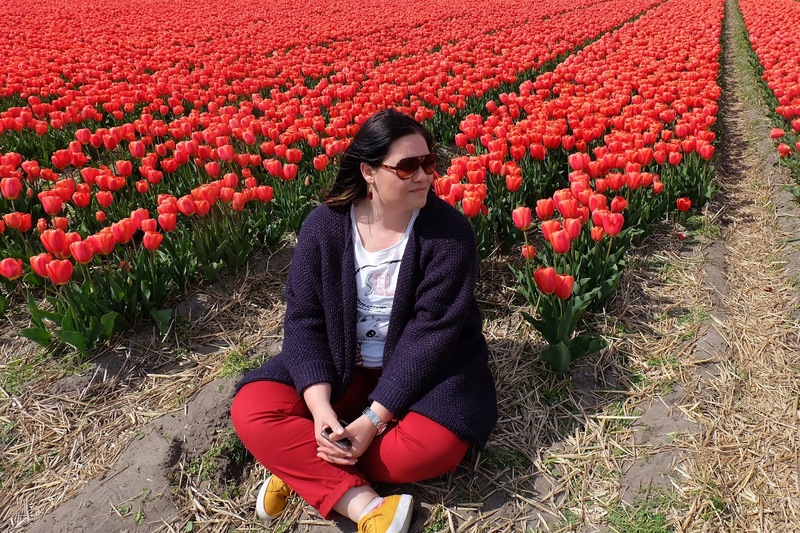 When to watch the tulip fields? Tulip season starts mid April and ends mid May, but it all depends on the weather. I've read somewhere that if the winter is heavy the tulip season can start early May, but keep reading, as I will tell you how to find if the tulips are blooming when you plan to go, but just as a marker, mid April to mid May. I usually go around May 1st as it is an international holiday and we don't go to work. 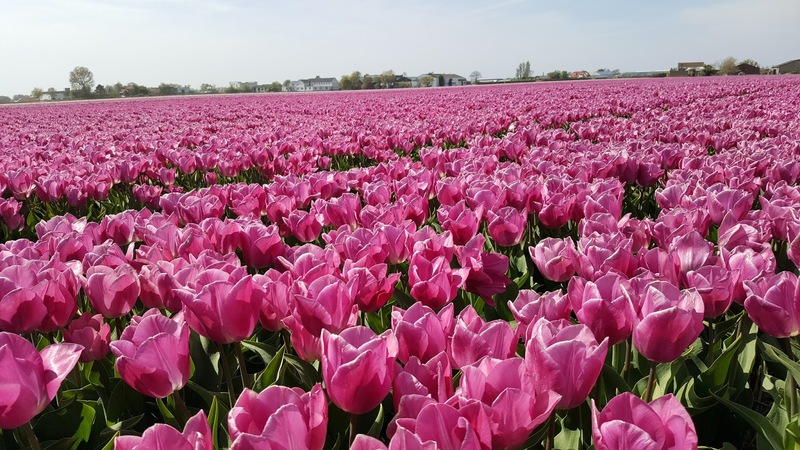 When to prepare for the tulip fields? It all starts around February when I search for accommodation. 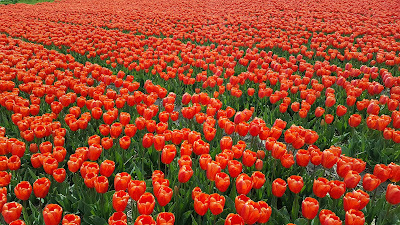 If you ever went to Holland especially during the tulip season, but if you ever went to Holland, you may know that it is an expensive country. What I call, expensive? More than 80 euro per night. Close to tulip season you are lucky to find a room with 80 euro, as they usually go at around 200 even 300 a night, euros that is. I don't need to tell you that by room I understand a bed and a toilet. I've passed the age when sharing a toilet was ok, but if you are young, maybe you can look for hostels or even trailers or tents. The first year I wanted to go to Nederlands for May 1st, I started looking for rooms in April and already the cheapest room in Amsterdam was 1200 euro per night near the airport. I don't know what's with this country, but I've learned my lesson, I've stayed in Luxembourg that year and now I know. 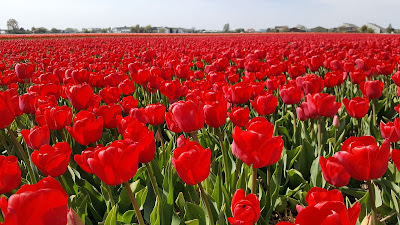 Being Nederlands, which is not that big especially near the tulip fields and Amsterdam area, I choose to book a room in a B&B, 40 minutes away form the tulip fields, but in a rural area, because I love rural Holland. 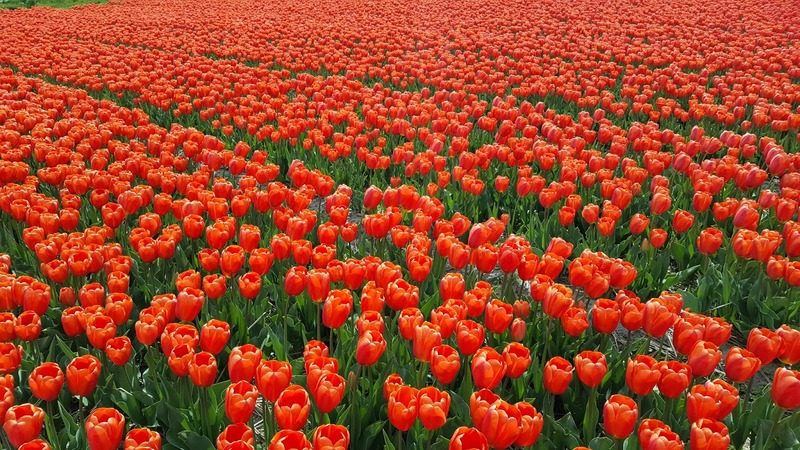 What are the tulip fields? I've just realised that, I'm talking about the tulip fields, but didn't say what they are. They are exactly fields planted with tulips, like in Luxembourg you could see now a lot of rapeseed, in Holland they have tulips. So if you are looking for tips about the famous Keukenhof garden, this is not the place. The fields are between Leiden and Haarlem, two towns about an hour away from Amsterdam. The first year I had only that information so we drove to Leiden and then we took the road thru the towns and stopped wherever we saw a tulip field and we did see a lot. Now there is a website where you can see in real time where are the fields, with streets and everything. The website is this, and I like that people can upload pictures of the fields and you can see from your desk what to expect. I took a screen shot of the website exactly as I am writing this text so you can see that at this time there are a lot of bloomed fields. If you click on a flower on the website you can see how the field looks now. 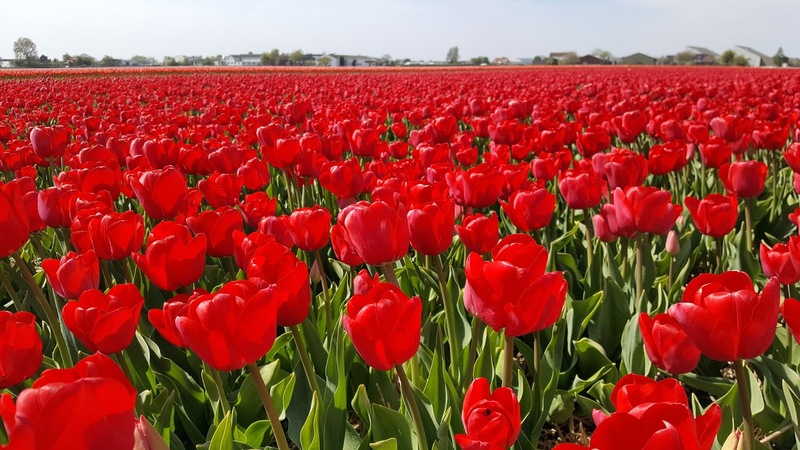 That is important because most of the farmers are growing tulips for their bulbs, so if you go on a period when they harvest the tulips you might have the unpleasant surprise to find the tulips, but not the flowers, as the farmers chop off the blooms to make strong bulbs. This is more of a reminder for me. I am documenting now the fashion vloggers, so I might be tempted to dress for pictures, so heels, dress, stockings, the whole shebang. Well, don't! The fields are not meant to be visited, so you will not find paths with asphalt where to do a shooting. The first year I wore my new converse snickers and ruined them. The tulips are planted in a mix of straw and sand which I couldn't get of my shoes as much as I've tried. So comfortable clothes, comfortable but ordinary shoes and a camera with a full battery or enough space on your phone. Internet, as big as it is gives you advice as to how to photograph tulips, here, here and here. But from experience I tell you that no matter what you pack, no matter how many pictures you take, enjoy the experience, let the adventure take you, nothing compares to that. If you do see the tulips this season, please drop a line. Here you find my gallery with pictures from this season in Holland. My Facebook page is Dichisuri.ro.